"The second chapter in "the suicide series" from Berlin's Anemone Tube is a suitably grim offering of machined noise, discordant feedback, and industrial field recordings of urban sprawl from a protracted visit to China a few years back. Anemone Tube's inclusion of these Chinese sounds comes from a very conscious decision to express the unfortunate side of the human condition to lay blame of current ills on the foreigner, the other - as Sartre explored in The Stranger. These recordings of locomotive engines grinding against the tracks, jet-engines surging into the sky, and the deafening roar from turbines are not unique to China, but the acceleration of environmental decline through such activities should also be seen as a mirror to the European civilization, whose cities have complex histories to war, famine, death, and disease. Hence, the title refers more to the gleaming optimism of human progress when everything points to another conclusion. Anemone Tube captures this in an immersive construct of these revolving field recordings, compounded by sinister synth passages and haunted drone, that keep us thinking of the likes of Morthound and Megaptera, in the death-industrial realms." 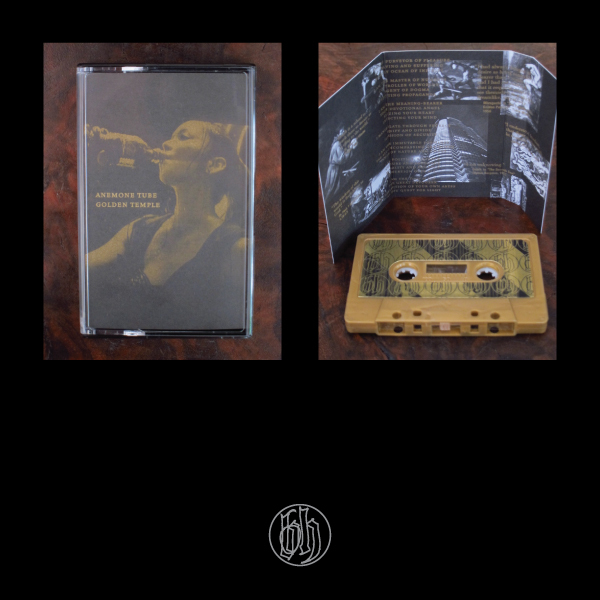 Limited to 125 copies on gold tapes with gold labels.